If you like your steak cooked to medium, your favorite ice cream is vanilla, and you always wear jeans and a plain t-shirt, then this the fruit for you! Dark brown, blending to green, nice bright red center pulp. Thready, soft, and a little mealy. Not particularly sweet, very mild, almost bland but pleasant I suppose although I wouldn’t say I like it. This seems like a very middle of the road fig, nothing to go on about but at least it isn’t off putting. I might try this again if it was grilled up and doused in a bunch of other flavors like honey and ricotta, or mashed up in a cookie. Mmm – cookies. 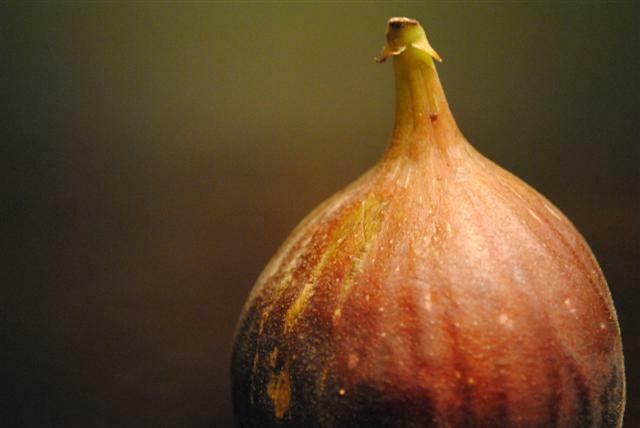 This person claims there are two schools of fig eaters/lovers — those who like Brown Turkey Figs and those who don’t. I can’t tell if I like them or not from re-reading what I wrote above so I guess that makes me some sort of non-committal third school. 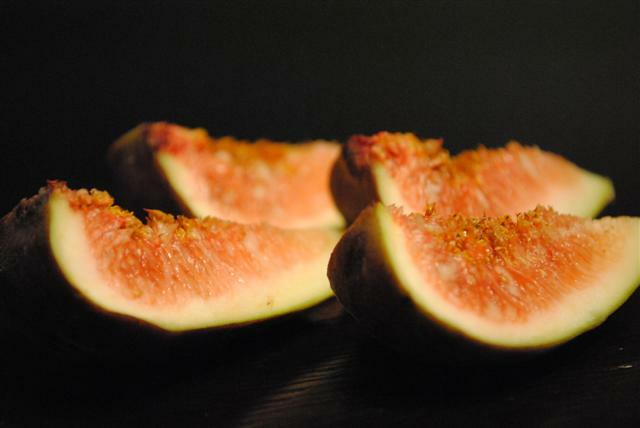 Here is a lot more info about figs and a list of many varieties.